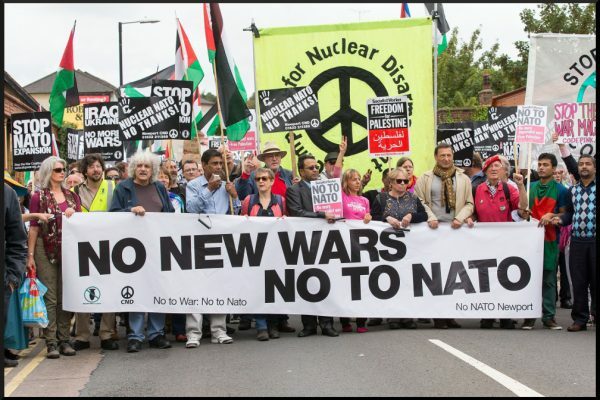 The War for Survival – Stop the Wars at Home and Abroad! Well here it is, sorry to say, another year, and I’m still writing to you from a prison cell. I am still in pain from my illnesses with no knowledge of whether I will ever get treatments for them. But I’m alive and still breathing hoping, wishing, praying for not just my pains, but for all Native Nations and the People of the World who care and have positive feelings about what is happening to Mother Earth and against the evils committed by Wasi’chu (Lakota: white settlers) in their greed for HER natural resources . It doesn’t seem as if any changes for the good or safety of Mother Earth will happen soon. But the good-hearted People are fighting back, and some good People are winning in the struggles to beat back some of this evil and to make THE Changes, the safety networks, we need for our grandchildren and great grandchildren so that they will be able to live happy successful lives, at least decent lives, that most of the poor underprivileged in my generation never got to experience or enjoy in our short lives. On a more pleasant issue one of my grandaughters Ashley is in college at University of Arizona, Flagstaff, and she wants to be a Medicine Woman! How awesome is that? My baby, a doctor! Wow! How proud am I! You would not believe just how much I am! I could use a little help now and then for her; don’t send it to me, but send it to ILPDC earmarked for her use ONLY!! She is going on a long hard journey, so she will need help now and then. One day, if she continues her studies to be a Medicine Woman, I know things can change as time goes by, but if she makes it, she will be an enormous help to Native Nations’ hospitals. Native American activist Leonard Peltier has spent over 40 years in prison for a crime he did not commit. Prosecutors and federal agents manufactured evidence against him (including the so-called “murder weapon”); hid proof of his innocence; presented false testimony obtained through torturous interrogation techniques; ignored court orders; and lied to the jury. 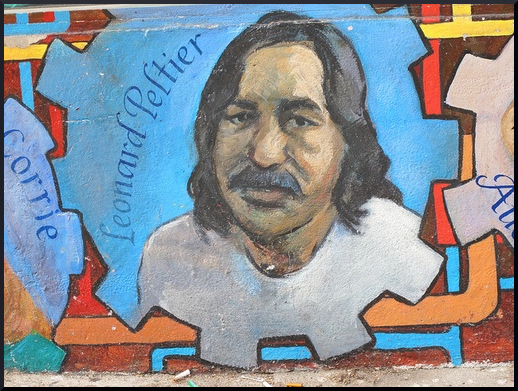 People are commonly set free due to a single constitutional violation, but Peltier—innocent and faced with a staggering number of constitutional violations—has yet to receive equal justice. You can read more of Leonard’s notes from prison Here. You can see a documentary about Leonard and the AIM Movement, and the circumstances of his conviction Here. Next Post:End the U.S. blockade of Cuba!